Provide comfort for the family of Jesse Hanson with a meaningful gesture of sympathy. 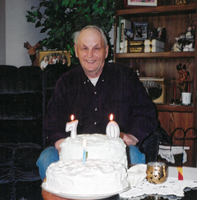 The family of Jesse Joseph Hanson late of Christopher Lake, SK, is saddened to announce the unexpected passing of a father and brother on Friday, March 1, 2019 at the age of 83 years. Jesse leaves to mourn two daughters Penny (Don) Anderson of Regina and Kathy Hanson Madraga of Northside and son Jesse Murphy Hanson of Cultus Lake, BC. and brother Huie in Penticton, BC along with nieces, nephews, cousins and friends. Jesse was predeceased by his mother and father; Jessica and Murphy Hanson, two older brothers Harvey and Lawrence; three sister-in-laws Janet, Lenore and Margaret. Jesse began farming at the young age of 14. He farmed the family homestead and lived at Birch Hills until 1978. He relocated to Prince Albert and a few years later to Christopher Lake area where he lived until his passing. We would especially like to thank the residents of Northside Country Lodge for their help and kindness to us and our father. Your vigilance was appreciated more than you know and will not be forgotten. A Celebration of Life, in memory of Jesse will be held on Friday, March 8, 2019 at 2:00 p.m. at MacKenzie Funeral Chapel. Donations in lieu of tribute may be made to the, “Heart & Stroke Foundation” at 1738 Quebec Avenue Unit 26, Saskatoon SK, S7K 1V9. 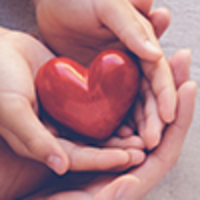 Or donations may also be made out to the, “Canadian Diabetes Association Saskatchewan Division” at 104 – 2301 Avenue C North, Saskatoon SK, S7L 5Z5. Arrangements in care of MacKenzie Chapel & Crematorium Brian and Bev Stobbs, Renée Phaneuf - Funeral Directors. www.MacKenzieChapel.ca 306.763.8488. 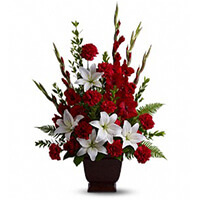 To send flowers in memory of Jesse Joseph Hanson, please visit our Heartfelt Sympathies Store. Madsen Family sent flowers to the family of Jesse Joseph Hanson. No words can ease the loss you bear, may loving memories bring comfort Our thoughts and prayers are with you and your family at this time of sorrow. Our sincere condolences to Murphy, Penny and Kathy. Our thoughts and prayers are with you all. Sincere condolences to you Penny, Don, Kathy and Murphy on the loss of your father Jesse. Madsen Family purchased the Tender Tribute for the family of Jesse Hanson.